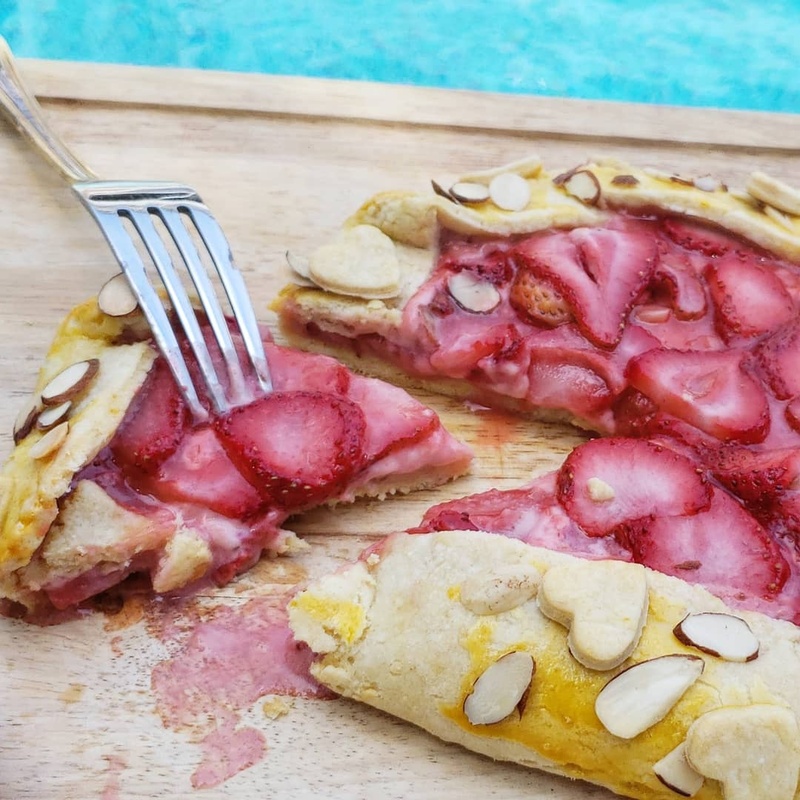 I have a confession to make: strawberry galette dessert is my all-time favorite recipe EVER! Seriously, I once baked this every single day for almost two weeks! 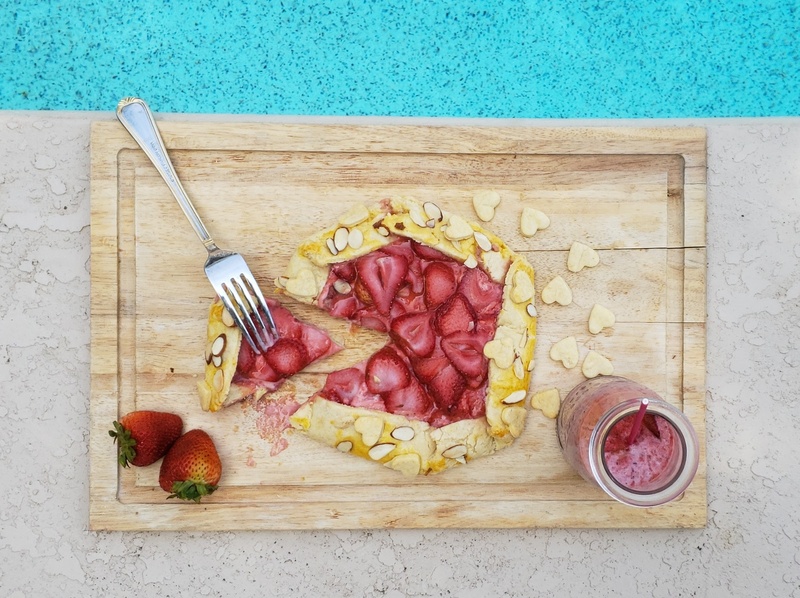 It has all the elements of a perfect dessert: a light crust, a creamy filling, and refreshing fruit. In a medium bowl, mix the flour and baking powder. Cut the cold butter into thin pieces and add them to the flour mixture. Knead the mixture until the butter is incorporated into the flour (the mixture will become crumbly). Add the egg, lemon crust, and vanilla. Mix the dough and flatten it into a disk, then wrap it in plastic and put it in the fridge for at least one hour. Mix the cream cheese, lemon crust, and heavy whipping cream. 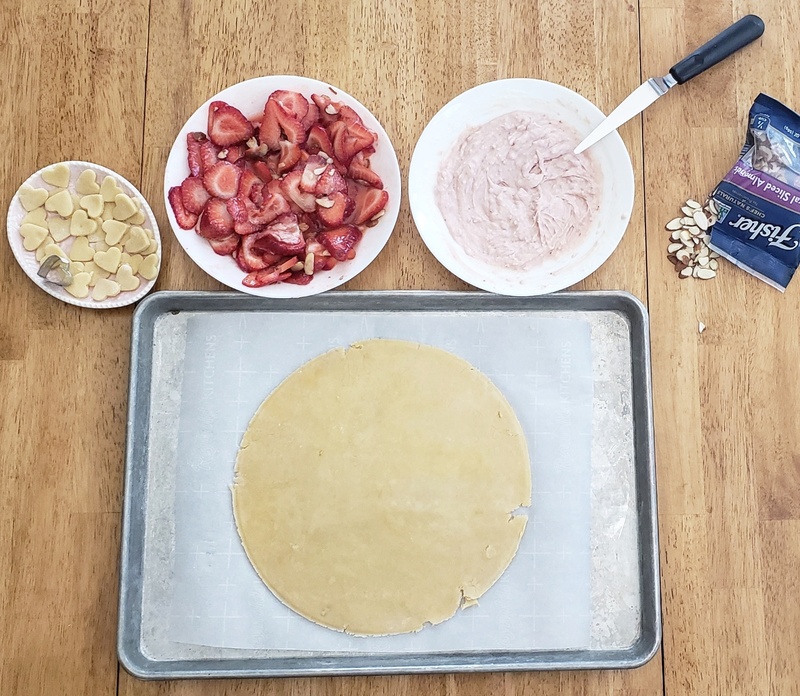 Cut the strawberries into thin pieces. Pour the honey and lemon juice over them. Add sugar and vanilla. Mix, then let it sit for 4 minutes. Add the flour and almonds. Mix well with a spoon. Drain the liquid from the strawberries. On a lightly floured work surface, roll the dough into a 10-inch circle one inch thick. 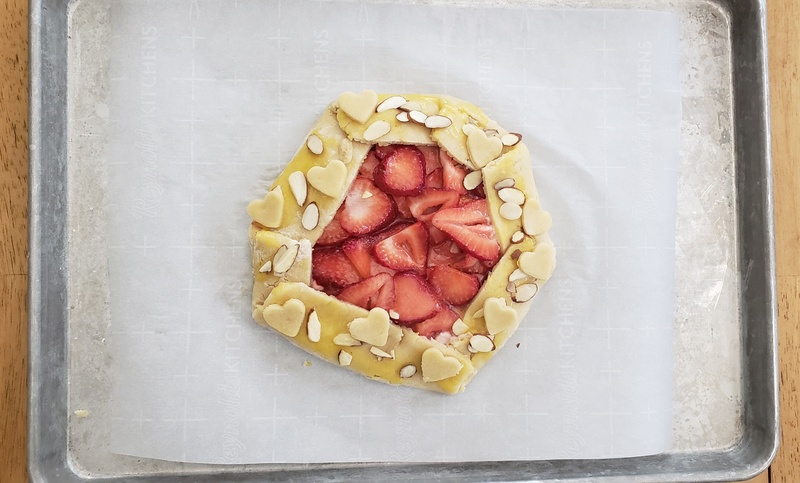 Transfer the dough to a baking sheet lined with parchment paper. – Spread the cream cheese filling over the dough, but not all the way to the edges. 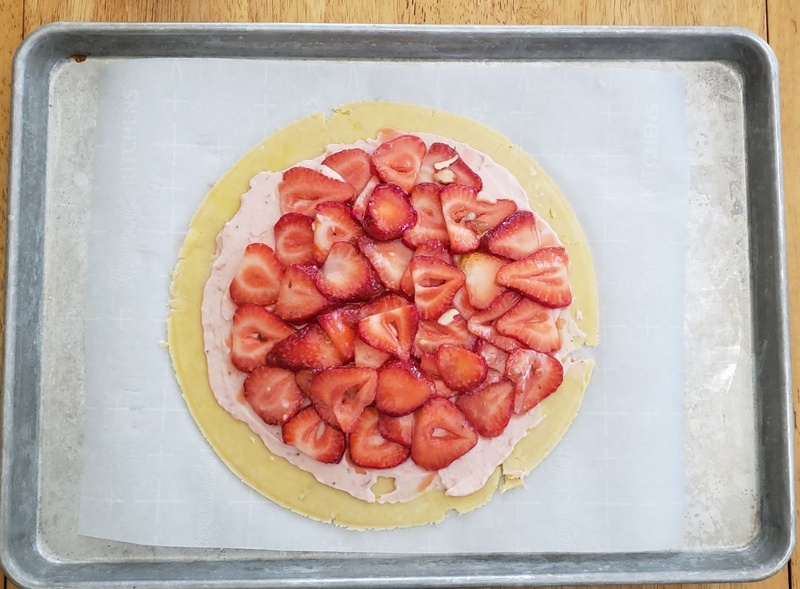 Put the strawberries on top, one by one. Fold the bare edges of the dough toward the center. Put the almonds on the edges (optional). Bake for 20–25 minutes at 360°F. 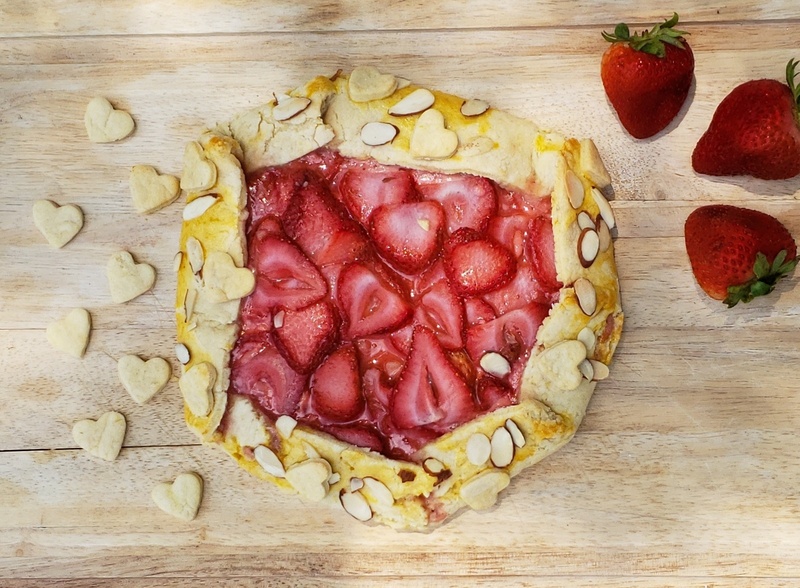 Remove the galette from the oven and let it cool for about 10 minutes before serving.